Big Breakfast is a producer of scripted and unscripted comedic content for linear and digital platforms. As the studio that made CollegeHumor Originals the #1 most-viewed comedy YouTube channel, Big Breakfast’s online content is some of the most-watched and shared on the Internet. Big Breakfast is currently operating under the banner of production studio Electus. We produce Adam Ruins Everything on truTV, Hot Date on Pop, and are excited for our upcoming project with IFC, The Middle Passage. Previously, we've produced Middle of the Night Show on MTV, Adam Ruins Everything - Election Special on TruTV, Comedy Music Hall of Fame on IFC, and more. We are the production company outgrowth of CollegeHumor's YouTube channel, which now has over 13 million YouTube subscribers, over 5 billion lifetime views, and 8 million Facebook followers. We produce Season 2 of I Want My Phone Back on Facebook Watch. Previously we've produced Bad Internet and Rhett and Link's Buddy System on YouTube Red, and more. We helped President Obama's White House promote It's On Us, Reach Higher, Better Make Room, and FAFSA. And Malaria No More's Malarious. And promos for Viacom, Turner, and more. We produce two series with IMDb, Special Skills and Unmade, both streaming on IMDb Freedive. Previously, we've produced Fatal Decision on go90, The Britishes for DirecTV, Sketchy for Yahoo, Dinosaur Office for Nintendo. Additionally, we consult on Disney's Bizaardvark. We've produced commercial and branded videos for hundreds of clients, including Coca-Cola, Activision, Microsoft, AT&T, Paypal, and many, many more. We partnered up with Grammy Award-winner and comedy legend Weird Al Yankovic to create a music video for his parody of Lorde's "Royals." The hit CollegeHumor web series is now a series on Pop TV. We partnered up with the White House to produce this pro-college music video starring Jay Pharoah and First Lady Michelle Obama. People care way too much about their phones. Who will go the distance, and who will yell "I want my phone back!"? Welcome to the scariest game show on Earth. Our once-popular web series and now-popular TV series is back for a third season on truTV. 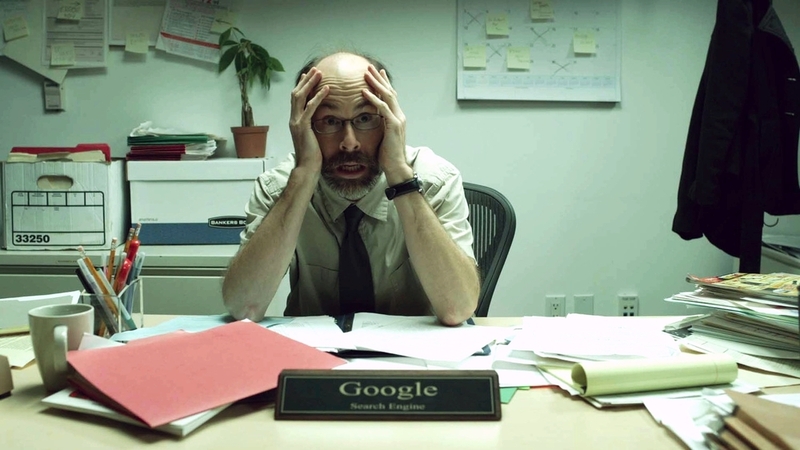 Our hit web series, starring Brian Huskey, now has over 50 million views and 4 Webby Awards. Check out the viral video we created as a part of Vitamin Water's "Make Boring Brilliant" campaign. 'PopTV's hilarious Hot Date' releases tomorrow night. Adam Conover, Star of ADAM RUINS EVERYTHING, makes Conan debut. Does YouTube Red Have Its First Hit in ‘Rhett & Link’s Buddy System’? Big Breakfast, an Electus company, is a full-service production studio that creates premium comedic content for broadcast, cable, digital and streaming platforms. Helmed by Head of Development Luke Kelly-Clyne, company credits include truTV’s Adam Ruins Everything; Pop’s Hot Date; IMDb’s UnMade and Special Skills, hosted by Jay Pharoah; Freeform’s upcoming Joss Whedon-produced comedy, Pippa Smith: Grown-Up Detective; and Facebook Watch’s breakout game show I Want My Phone Back, which has garnered more than 60 million views to date. The studio is also currently developing IFC’s satirical and politically provocative sketch comedy The Middle Passage, as well as projects for Disney Channel, Freeform, Facebook, Comedy Central, tru TV, Eko and Fuse, among others. As the studio that made CollegeHumor Originals the #1 most-viewed comedy YouTube channel, Big Breakfast’s online content is some of the most-watched and shared on the Internet. The company has earned 20 Webby Awards and 12 Telly Awards, with its digital content garnering more than five billion views. Operating under the Electus banner, a Propagate company, Big Breakfast also maintains exclusive access to talent and leverages ad-integration opportunities with leading brands. Big Breakfast is headquartered in Los Angeles. MICHELLE OBAMA, "GO TO COLLEGE RAP"
Amir Blumenfeld, "JAKE & AMIR"